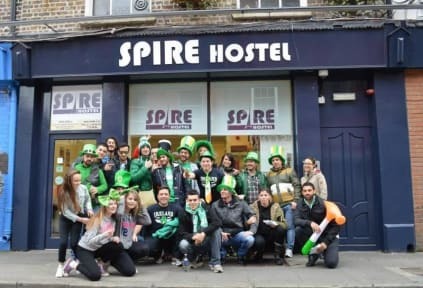 Spire Hostel kohteessa Dublin, Irlanti: Varaa nyt! The best hostel in Dublin, you get more than you pay for. Breakfast is not only toast and coffee and you feel home there. It is surprising how close of Spire it is and that makes it just really easy to get anywhere. I loved their common areas(4 places you can hang out and make friends) and reception is always there for you. I stay again 100% when I come back. Great location and super friendly staff. Breakfast included was better than I expected. Would definitely stay again! Excellent location, friendly staff and good facilities. Atmosphere was very nice among the guests. Free drinks on Saturday, which was a plus! For females I recommend female rooms because you can get to know people much better like that. I would absolutely stay in this hostel again! I could stay anoter time there too. Not the best one I have visited. Great location!